We believe that anti-aging treatments and skin care should be customized to suit each patient’s individual needs. Dr. Jeffrey B. Wise, Double Board Certified and Triple Ivy League Trained, Facial Plastic Surgeon, works closely with our Licensed Estheticians and Cosmetic Dermatology Specialists, to make your skin look positively radiant and youthful by using a combination of innovative facials and state-of-the-art laser technologies along with medical grade skin care products. 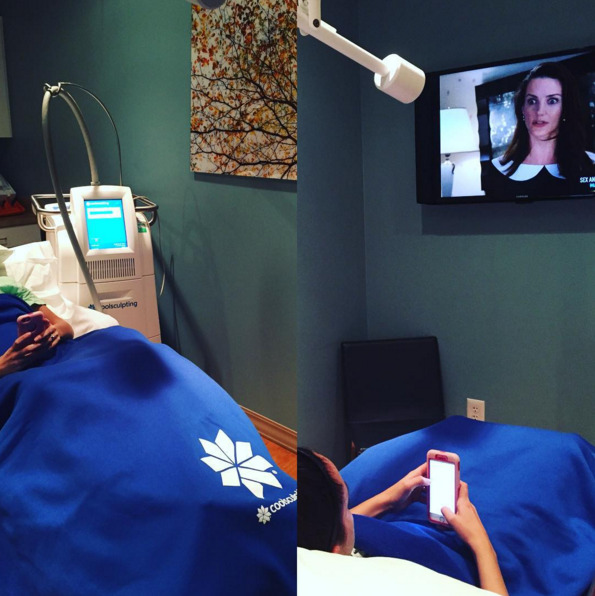 Our Skincare Providers will invite you into a beautiful and relaxing room for a private, one on one consultation. While evaluating your skin, they will listen to your concerns and make recommendations tailored to your goals. After your skin care treatment, you will leave our office feeling rejuvenated, refreshed, and with glowing skin. Explore our menu of the latest non-invasive, aesthetic treatments, with minimal to no downtime, that will help you turn back the hands of time and fight the signs of aging skin. Refer a friend to our medical spa and receive a 10% courtesy off your next treatment. Package pricing available for all facial and laser treatments; a series of treatments is often recommended to maximize results. When applied to the skin, 24-Karat gold slows down collagen depletion and the breakdown of elastin to prevent sagging skin. The gold elements slow premature aging of the skin by stimulating cellular growth to regenerate healthier, firmer skin. Your skin will be tighter, luminous and radiant. Cleansing and pore extractions combined with a controlled spray of CO2 and a blend of hyaluronic acid and botanicals with no downtime. The blast of cold cryotherapy is refreshing and restores hydration and luminosity. CooLifting is also available as a 4-minute add-on treatment. Dermaplaning is an excellent way to exfoliate the skin and to regenerate new skin cells. Using a medical-grade surgical blade, our Licensed Esthetician gently and safely scrapes away outer layers of dead skin cells and fine hair to reveal the radiant and healthy epidermal layers beneath. Using microcurrent technology, the facial muscles and your skin are being given a workout that stimulates collagen and elastin production. The result is immediate firming, smoothing, and hydration of the skin while reducing the appearance of fine lines and wrinkles. 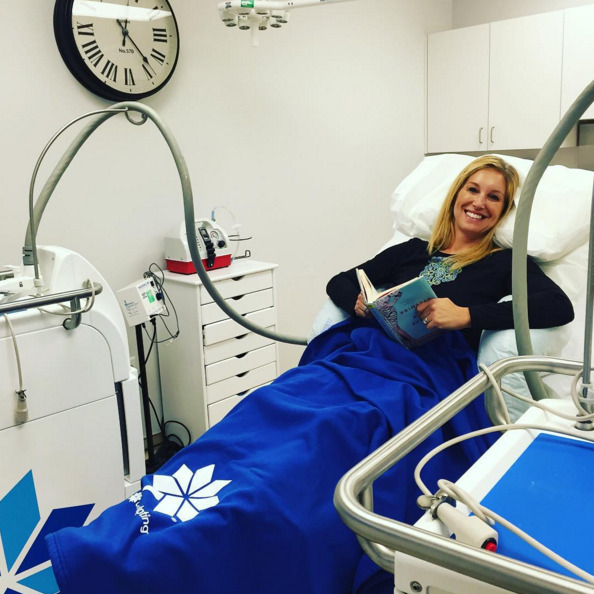 Dermalinfusion is a revolutionary procedure that will exfoliate your skin, simultaneously infuse a powerful topical serum, and remove any and all toxins with lymphatic drainage. 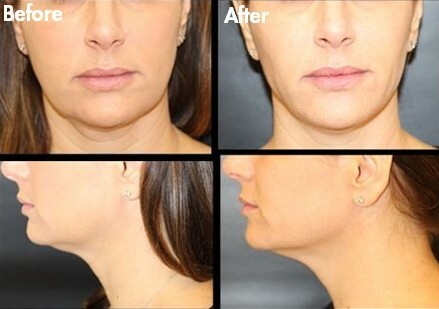 This treatment has no downtime, is pain free, and will provide you with immediate results. This is a customizable treatment option that can be specifically tailored to your skin type. Also offered as a Body Treatment to address chest and back acne, dry/cracked feet, or simply want to polish your body. Rejuvapen creates micro-channels into the deeper layers of the skin, increasing the absorption and delivery of anti-aging serums. This collagen producing procedure addresses various skin conditions, including aging, scarring and hyperpigmentation. 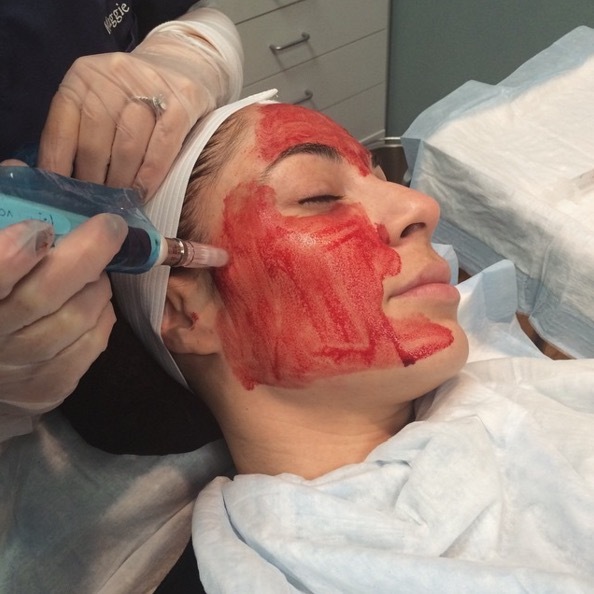 The PRP Facial utilizes microneedling of Platelet Rich Plasma (PRP), which is a purified form of your own blood, containing a rich concentration of platelets and growth factors. PRP stimulates the production of collagen, improving the volume and texture of the skin. PRP injections with Dr. Wise available upon request. Not all PRP is created equally – the Wise Center is the only office in New Jersey to utilize the Magellan TruPRP System, which delivers the highest purity, hospital grade PRP for optimal results. The Wise Signature Facial was exclusively designed for our patients to help prevent, treat, and protect the dermis from the signs of aging. Our signature treatment begins with a dermalinfusion to remove deeply embedded impurities from the skin, combined with light therapy, leaving your skin revitalized and glowing. CooLifting facial combined with gentle exfoliation, microcurrent collagen stimulation, and light therapy for optimal rejuvenation, firming, and smoothing. We encourage our patients to seek the recommendations from our team of skin care professionals who will create unique treatments designed to rejuvenate and address specific skin types. Experience one, or enroll in a series of treatments. Our acne treatment is customized depending on each individual’s skin type. A combination of therapies may be used depending on the specific needs of the patient including, Chemical Peels, LED light therapy and a professional extraction technique to remove black heads. Using a medical grade steamer, it softens blackhead plugs, gently releasing them from follicular openings. Chemical Peels reveal healthy, refreshed skin by sloughing off the dead surface layer, leaving behind a smoother, softer complexion. Chemical Peels treat a variety of skin problems, including fine lines, wrinkles, uneven skin tone and texture, and brown spots or discoloration from acne, sun damage and melasma. We offer a variety of Chemical Peels including: Glycolic, VI, ZO 3 step, and PCA Peels. Your peel will be specifically tailored to your skin type. An intensive depigmentation method that reduces the appearance of skin discolorations brought on by hormonal imbalance, excessive sun exposure and various other triggers, in all skin types. This treatment achieves short and long term. results by keeping hyperpigmentation under control. This treatment will leave your skin feeling refreshed and clean. 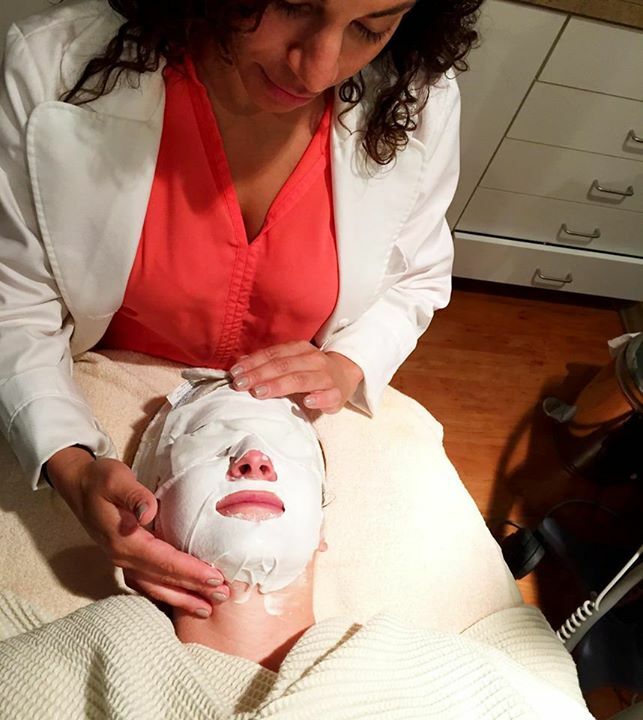 Our Licensed Esthetician will safely and gently extract the impurities in your skin including white heads, black heads, and clogged pores, followed by a therapeutic mask. LightStim emits UV-free, beneficial light rays that energize cells and stimulate the body’s natural process to build new proteins and regenerate cells. Sit back and relax while a combination of colored medical grade lights help to increase collagen and elastin production, reduce inflammation, accelerate healing, increase circulation, and destroy acne bacteria. 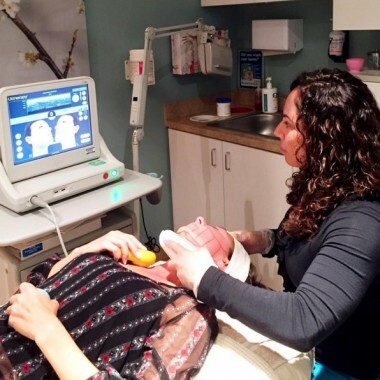 The only non-surgical, non-invasive procedure that utilizes ultrasound energy to tone and tighten loose skin on the neck, face and décolletage. Ultherapy is also an ideal procedure to lift the brow, giving you a more refreshed, youthful eye. Your body’s response to this energy will stimulate the growth of fresh, new collagen, giving your skin a gradual tightening and a much more youthful appearance. Ultherapy is utilized to tighten and lift skin in the periorbital area beneath the eyes as well as give an awakening lift to the brows. Microneedling is also performed beneath and around the eyes to stimulate collagen and elastin production. The treatment concludes with a refreshing eye mask for complete eye rejuvenation. Using the power of Ultherapy ultrasound technology, this treatment targets superficial imperfections including fine lines, wrinkles and large pores to retexturize and smooth the skin. For All Skin Types and Hair Colors Laser Hair Removal eliminates unwanted hair from the face and body. We offer a customized treatment plan using the GentleMax Pro Laser to maximize results for your particular hair type. The number of sessions needed depends on the condition and color of your skin and hair. For All Skin Types and Ink Colors PicoWay treats multi-colored tattoos on different skin types and utilizes unique picosecond laser technology to deliver fast, comfortable treatments – more than any other traditional laser tattoo removal solution available. Unlike traditional lasers, PicoWay delivers energy to the targeted ink in ultra-short pulses which will shatter even tiny ink particles making it easier for the body to clear the tattoo ink. For Pigmentation and Skin Rejuvenation PicoWay is used to treat minor imperfections and help restore your skin to its youthfulness. Resolve is a fractional treatment capability on the advanced PicoWay laser device for benign pigmented lesions such as freckles, age spots, lentigines, and more. This breakthrough technology uses the shortest laser pulse available to breakdown the pigment into the smallest particles. These pulses treat pigmentation, skin irregularities and the signs of aging. For Redness Skin Concerns Vbeam Perfecta is the gold standard of Pulsed Dye Laser (PDL) using best in class technology to deliver an intense but gentle burst of light into targeted areas of the skin. There it is absorbed by the blood vessels or melanin pigmented areas, safely treating the condition. Trust the Vbeam Perfecta to safely and effectively treat: redness of the face and neck, rosacea, sun spots, age spots, facial and leg veins, freckles, scars and stretch marks, warts, psoriasis, poikiloderma and port wine stains. A non-invasive, revolutionary procedure that utilizes a targeted cooling process to reduce areas of stubborn fat including the abdomen, love handles, inner and outer thighs, bra roll, under the chin, knees, and arms. The treated fat cells are crystallized (frozen), then die. Over time, your body naturally processes the fat and eliminates these dead cells, leaving a more sculpted you. The Wise Center is one of the only offices in Northern New Jersey that offers 35-minute treatments and utilizes two CoolSculpting machines which means treatment in half the time!